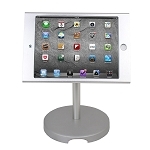 Your iPad point of sale system offers you a powerful solution for your business. 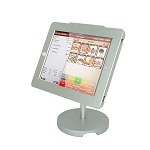 With the right accessories, you can turn it into a full-powered point of sale system. 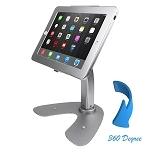 The iPad POS stand helps you to create a professional looking register or checkout system, no matter what type of business you own. You can set up the iPad at the counter, or you can create a free-standing lectern for industry events like trade shows or community shows. 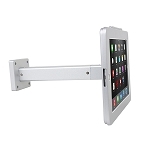 The stands include anti-theft features to protect your investment and your company data. 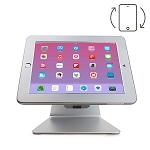 The floor stand also includes a charging cable through the center of the stand, helping to keep your iPad charged without the clutter of cords. Both stands allow you to create a professional looking display while also taking advantage of professional tools for your business that also help you to save thousands of dollars over a traditional POS display.